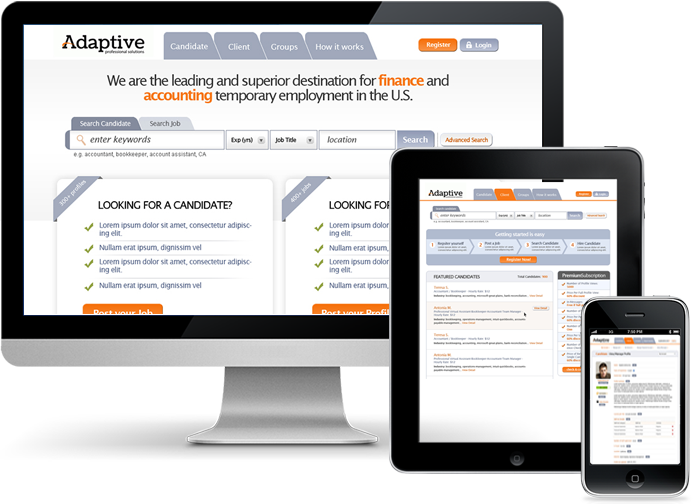 An online marketplace and job portal where accountants can find temporary and contractual positions. Our client had been an accountant for the last 30 years when he approached us to develop an automation of their staffing solutions. The client wanted us to build a one of a kind portal listing accountants in the United States where companies could hire them on a contractual basis. The portal is currently only available in 7 states. The platform would automate a system of background checks, payroll processing, candidate registration, live and recorded interviews, client registration, verification processes, and others. We needed to research how the staffing process in the U.S. is done along with what was needed to implement the background check mechanisms, finding and integrating an apt payroll and and sales tax calculation module, and define an overtime calculation module. The client is happy with the execution of the idea and looks forward to expanding the project. Traffic has increased with more than 2000 candidates with more than 1500 listed with complete information with jobs being awarded.